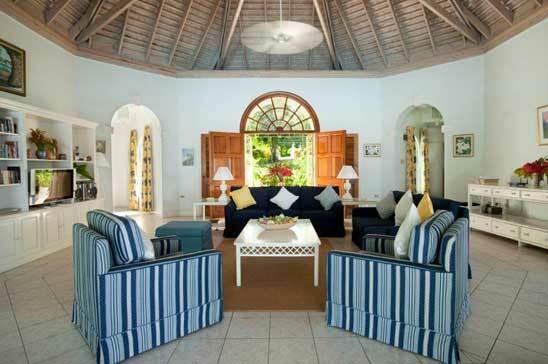 FRANGIPANI is a beautifully furnished 5,000 sq. 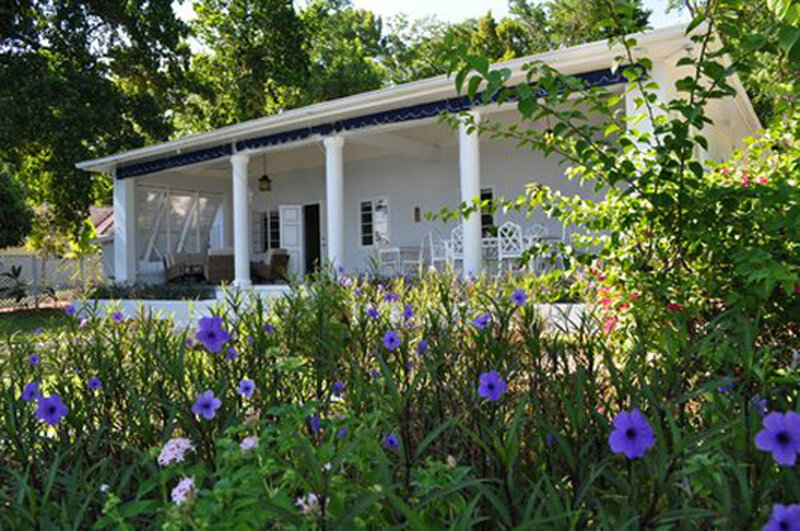 foot villa with lovely frangipani trees surrounding the property in its lush, tropical gardens. 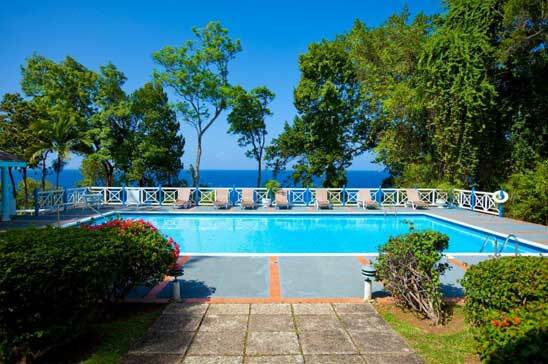 With all the amenities provided for, guests relax and gaze out past the pool to the crystal clear waters of the Caribbean Sea -- a truly memorable place to stay in Jamaica. 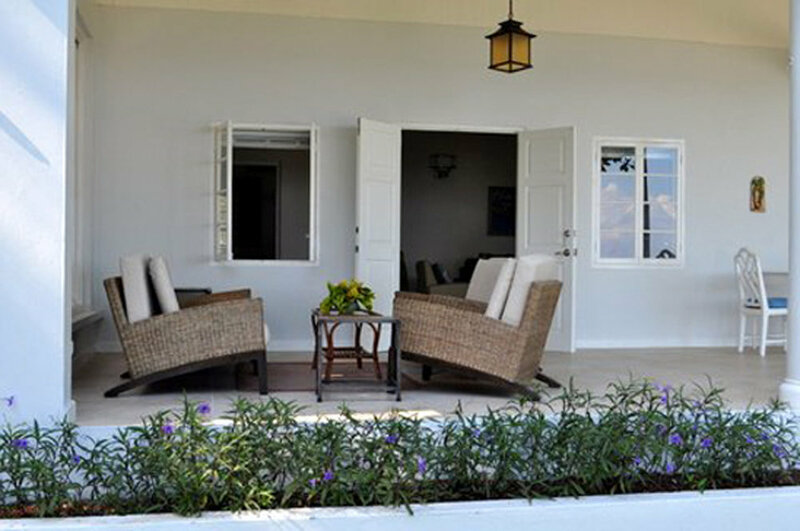 FRANGIPANI is the newest of the luxury villas on the historic Prospect Estate located close to the fashionable resort town of Ocho Rios. 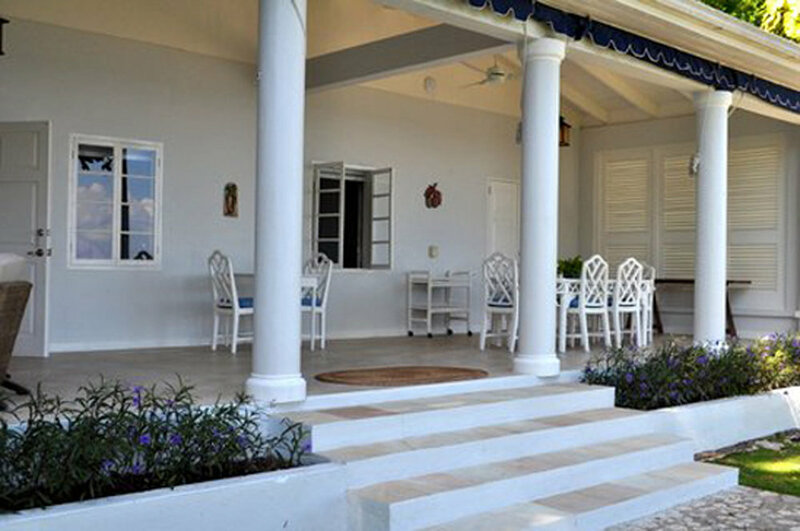 It sits on 1.5 acres of beautiful tropical grounds with a spacious living room equipped with cable TV, DVD, Hi-Fi, telephone and wireless internet access for your BYO laptop. FRANGIPANI'S central verandah leads out to a magnificent pool with a sun deck and steps to a jetty with walk-out access to the clear blue waters of the Caribbean. In addition to FRANGIPANI'S wonderful private swimming pool, guests have access to the Estate's tennis court, jitney and horseback riding tours all within a 5 minute walk from the villa. 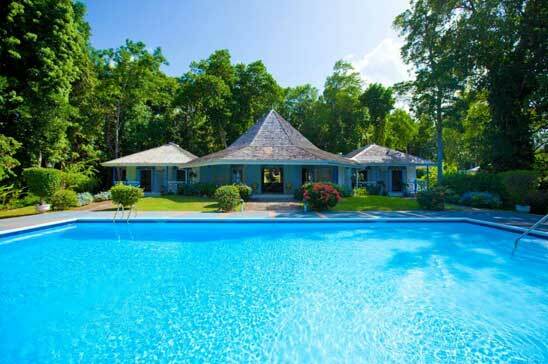 Guests also receive a 50% discount on greens fees from Sandals Upton Golf Club. 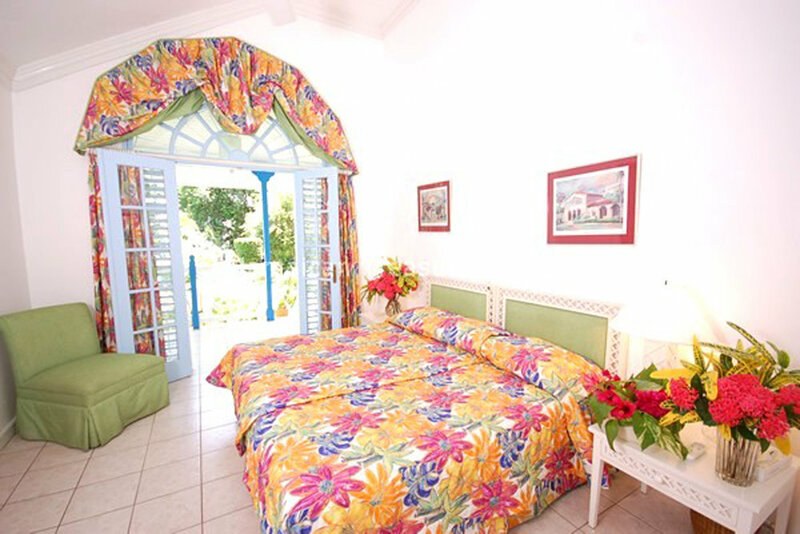 Each of the four deluxe bedrooms has A/C, TV, en-suite bathroom, separate powder room and private verandah looking out over the gardens and swimming pool to the sea. As with all of the luxurious Prospect Villas, FRANGIPANI is fully staffed with a cook, butler, housekeeper/laundress, gardener and all night security. The friendly on-site management greets all guests and are happy to cater to guests individual needs. 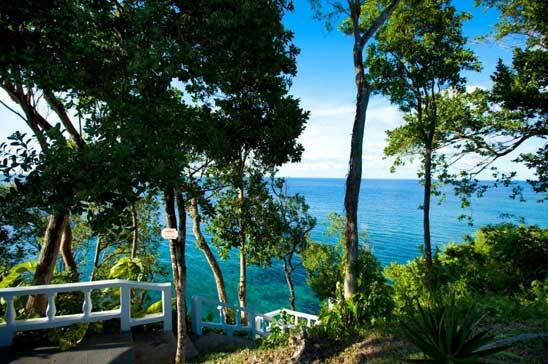 The nearest beach to FRANGIPANI is Reggae Beach (Ochi Rios best kept secret), just a 2 minute drive away. You have to pay about $4 to get in as an entry fee, and it is well worth it. Reggae Beach is known as one of the quieter, less-crowded beaches in Jamaica. A pre-stocking/pay as you go service is also available with groceries items stocked prior to arrival and throughout your stay. Meal costs are very dependent on the likes and dislikes of the individual group/family. On average, meals may work out to cost $50-$60/ person/day and US$25/child/day. Guests can choose a Meal Plan which costs US$50/adult/day and US$25/child/day. The Meal Plan covers breakfast, lunch and dinner from our set menu. It does not include alcoholic drinks, snacks or baby food. Airport transfers are included in all one week/7 night bookings.